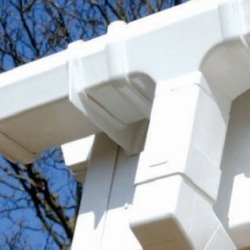 Popular with homeowners and installers all over the country, White Square guttering is an excellent choice. 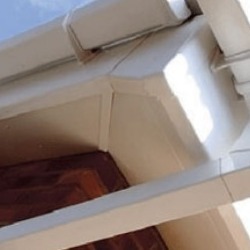 It looks bright, clean and modern, has an excellent flow capacity and it looks brilliant when installed with ourFloplast PVC Fascias and Soffits. 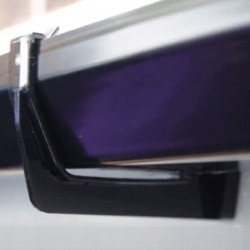 What's more it is easy to keep clean - use a mild detergent at the beginning of the summer and the end of the autumn to wipe down the gutters and it will look glossy and bright for years to come.